These elegant wisteria colored bean-jam bars have a presence of golden chestnuts. Suddenly you open the box, you bask in the aroma of chestnuts and azuki beans. These bars with clear taste and appearances are made of azuki beans pasete that scum is carefully removed. Its elegant sweetness is well much with bitter taste green tea. This is the best way to enjoy Kuri Yokan. It is easily cut apart with a toothpick. Enjoy and feel the tenderness. Monaka, bean-jam-filled waffers, with flower patterns looks graceful. These chrysanthemum have an historically honorable origin. Our special beans paste is covered with stiff waffers. Our monaka does feast your eyes. You not only taste it but also enjoy the chewy texture and beautiful appearances. These bite-size sweets look so lovely. It is a good gift for sweets lovers. It should make them smile. “Tenkaichi” means super-duper. As its name, it is a supreme yokan. 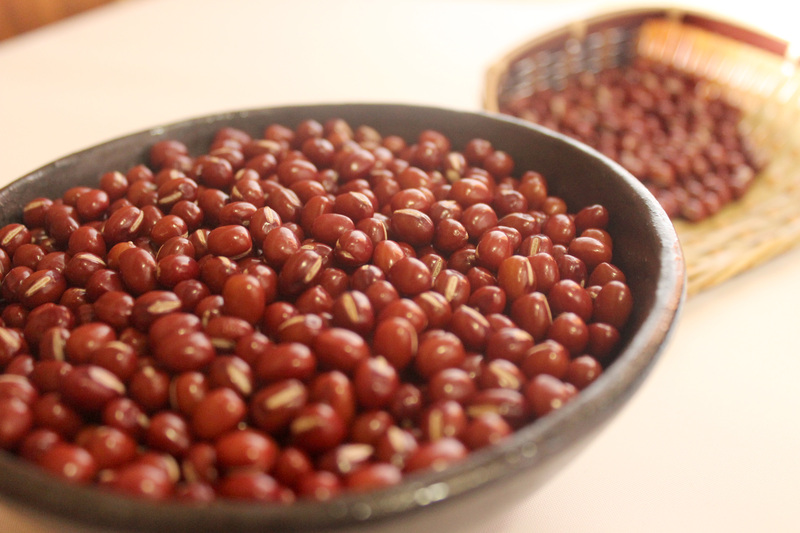 Azuki beans are carefully selected screening its wrinkle and texture. It is made of the finest ingredients, the natural color of nbleached domestic agar, the prime sugar that is carried on generation after generation and it recipe is never taken out. It is because using simple materials, these yokan are made without any compromise. It is an art of yokan that tempts and adicts you. You might not be able to stop tasting its pronounced texture and taste.